The 9th International Conference on Gravitation and Cosmology (ICGC) will be hosted by the Indian Institute of Science Education and Research Mohali (IISERM), during December 10 - 13, 2019. ICGC meetings are held once in four years and are organised by the Indian Association for General Relativity and Gravitation . This meeting aims at bringing together active scientists to take stock of present status in Gravitation and Cosmology and exchange ideas, as well as offer young researchers from India an opportunity for interaction with experts. The programme will have a series of plenary lectures, with parallel workshops and poster sessions. The year 2019 also marks the centenary of Eddington's famous solar eclipse test of General Relativity and the confenrence will have special lectures to mark this milestone. If you would like to receive updates, please write an e-mail to: ICGC2019 at iisermohali dot ac dot in. Abstract submission will be open soon. Please click the link on the side panel. About the Institute: Indian Institute of Science Education and Research (IISER) Mohali is one of the five institutes established by the Ministry of Human Resource Development. The basic mandate of the IISERs is to carry out research in frontier areas of science and to provide quality science education at the undergraduate and at the postgraduate level. 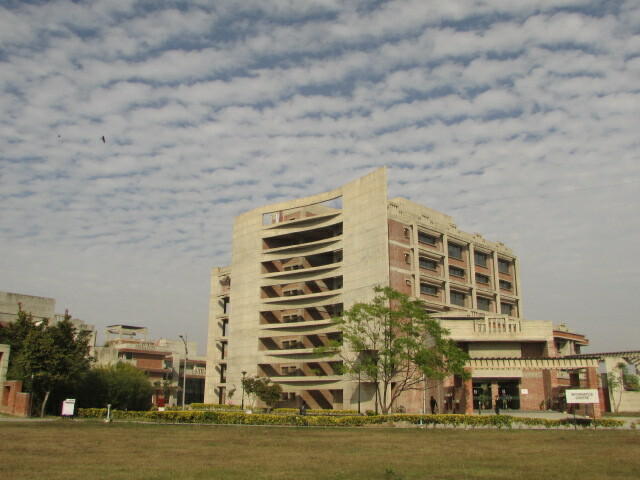 IISER Mohali started functioning from a transit campus in 2007 and has moved all its operations to the campus in Sector 81, Mohali (renamed SAS Nagar). The institute has close to 100 faculty members, around 1000 students in the BS-MS programme and around 250 PhD and Integrated PhD students. Research and teaching in biological sciences, chemical sciences, earth and environmental science, humanities and social sciences, mathematical sciences and physical sciences is being carried out at the institute.